Internet Company Google has decided to tackle the United Kingdom music streaming market. 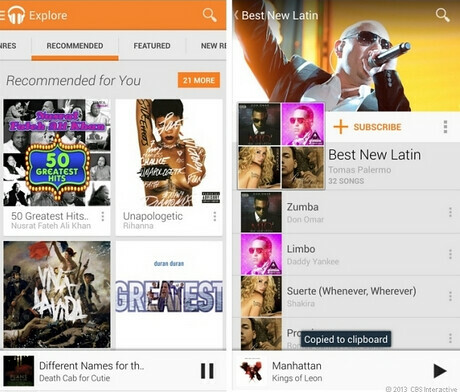 The company has launched Google Play Music All Access in the UK, entering an already crowded market in an attempt to challenge Spotify, Deezer, Rdio, Xbox Music, Sony’s Music Unlimited, and Rara. The new service will cost £9.99 per month but new customers will get it for £7.99 until September. The other services have free options while All Access does not. All Access has already been launched in the USA, New Zealand, and Australia and there are plans to launch the service in other parts of Europe such as Austria, Belgium, France, Ireland, Italy, Luxembourg, Portugal and Spain. The service will offer a range of features including unlimited “on-demand” access to millions of tracks; Smartphone apps; recommendations for new music, and a personalised radio feature. The UK is the fastest growing market for streaming music in the world. Over 20 million people paid for subscription music services last year. People in the UK streamed more than 3 billion tracks in 2012 earning more than £49 million in income for British record labels.